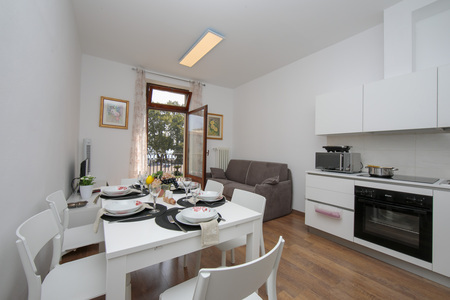 Soak up a scenic lake view stay, from this centrally-placed balcony apartment for 6! 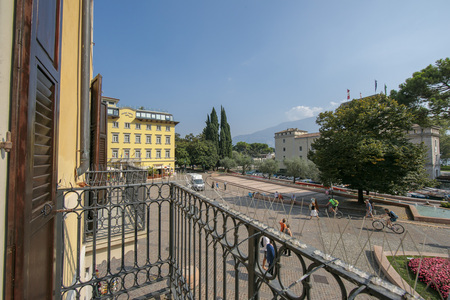 Boasting a picturesque location overlooking Garibaldi square and La Rocca castle, this 1st floor balcony retreat sets the scene for tempting couple-friendly stays. 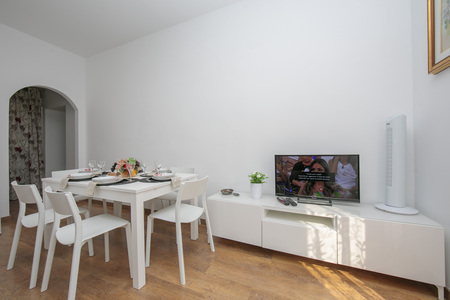 Inside, a bright and updated living room features a sitting area with flat screen TV and an ambient dining space. 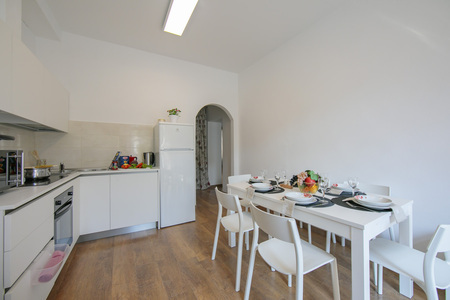 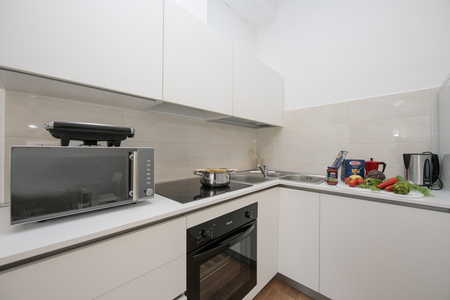 A contemporary fitted kitchen accompanies the space and entices guests to enjoy carefree meals-in during their stay. 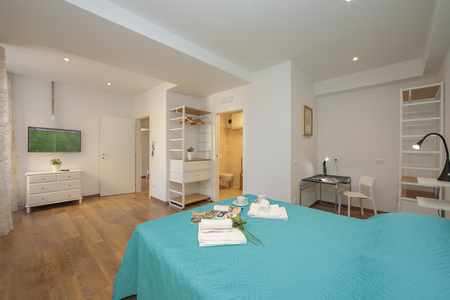 A beautiful lake view balcony bedroom with double bed features alongside a welcoming double bedroom, with wall-mounted TV and a contemporary-fitted en-suite shower room. 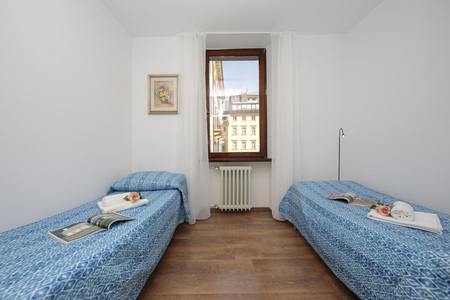 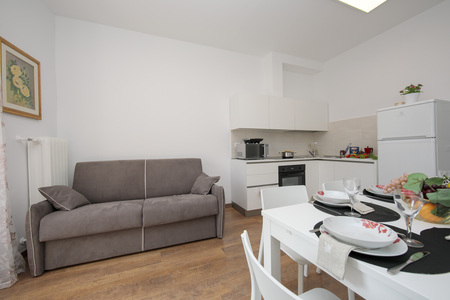 The third bedroom is furnished with 2 single beds, making it ideal for two extra guests and children. 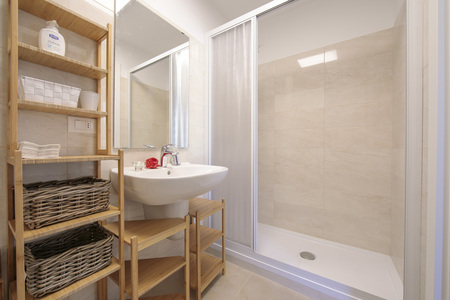 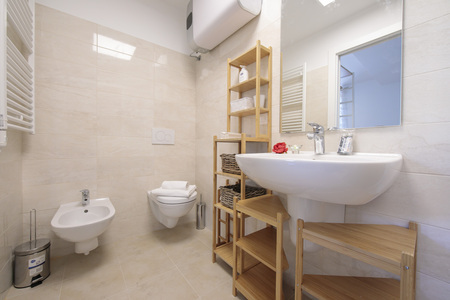 A modern family shower room completes the layout of this modernized retreat. 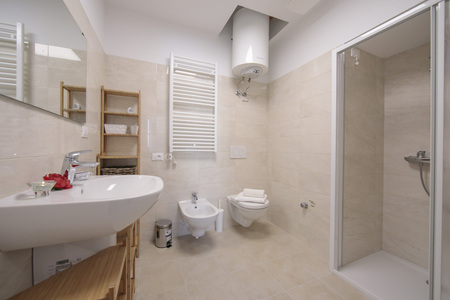 The apartment is easily accessed by lift. 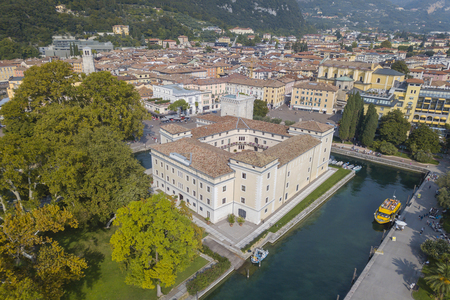 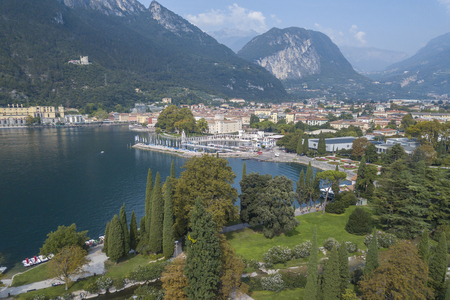 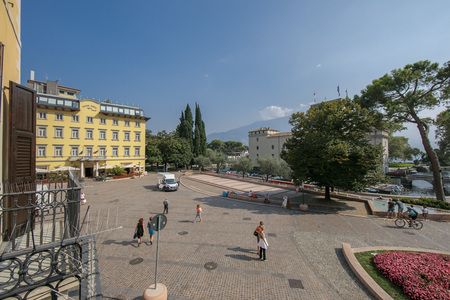 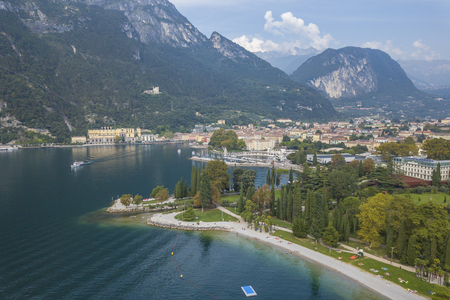 The resort amenities of Riva del Garda are all within a short drive away. 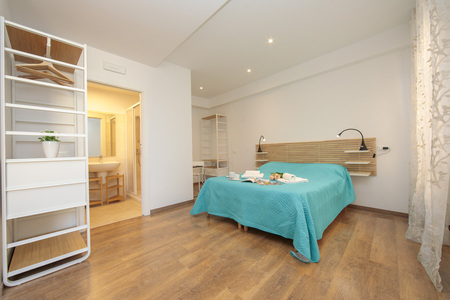 Sleeping- Bedroom 1: Stylish lake view double bedroom with balcony access & wardrobe Bedroom 2: A double master bedroom with en-suite shower room, a wall-mounted TV & wardrobe Bedroom 3: A flexible guest room with 2 single beds Bathrooms- Master En-suite: A modern shower room with wash basin, WC & bidet Bathroom 2: A modern fitted shower suite with a wash basin, WC & bidet Additional- • Central heating • Flat screen TV • Upon request, a portable WiFi device can be hired (for an extra charge) • Clothes horse • Microwave & dishwasher • Washing machine • Ironing facilities • Hairdryer • 20 external steps • Lift access • Balcony access Location: The lovely residence is centrally located in Riva del Garda along ‘Via Giuseppe Mazzini’, facing the Garibaldi square and historical La Rocca castle. 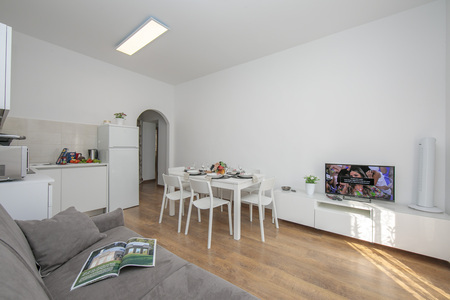 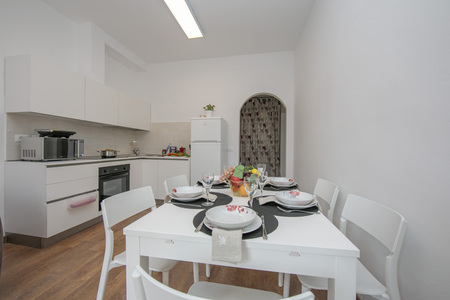 On the doorstep, guests will find a host of bars, restaurants, supermarkets and grocery shops to complement their self-catering stay. 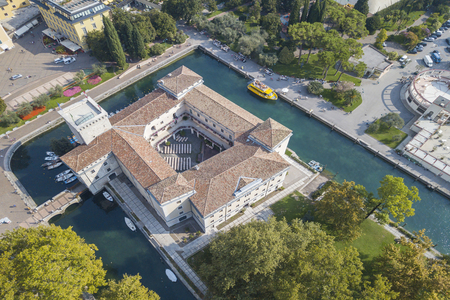 The local museums, tourist attractions, sailing club and picturesque lido beaches of Spiaggia Sabbioni, Pini Beach and Lido of Riva del Garda are all within a 4-5 minutes’ drive away. 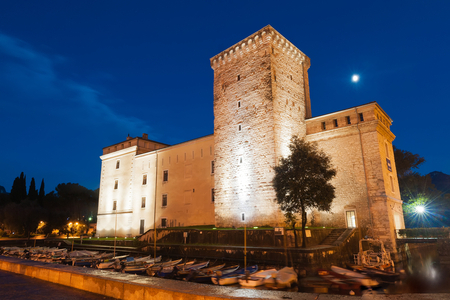 For those looking to get out and explore for the day, the Porta San Michele, the Porta San Marco, medieval lake view belfry of ‘Torre Apponale’ and baroque frescoes in the ancient church of ‘Santa Maria Inviolata’ offer some great sightseeing opportunities. 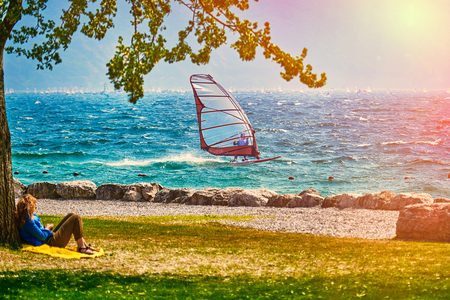 Sport enthusiasts are also spoilt for choice, with Riva del Garda a popular destination for windsurfing, thanks to the strong winds. 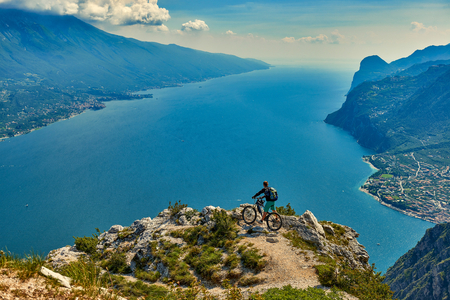 The nearby Monte Baldo along the north eastern shore of Lake Garda and the nature park of Parco dell’Alto Garda Bresciano also provide plenty of opportunities for hiking, nature treks, biking, paragliding and climbing. 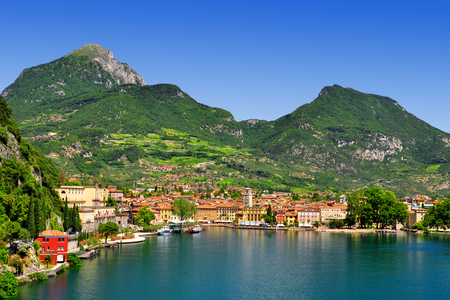 For those flying in, Verona Villafranca Airport is 62 minutes’ drive away.